PPT linear flow 4 steps2 PowerPoint Templates-This PowerPoint Diagram will let you express the views about capital and labor, commercialism and market. This image identifies the concept of stages in process. This attractive image makes your presentations professional and interactive. Deliver amazing presentations to mesmerize your audience.-PPT linear flow 4 steps2 PowerPoint Templates-Abstract, Arrow, Blank, Business, Chart, Circular, Circulation, Concepts, Conceptual, Design, Diagram, Executive, Icon, Idea, Illustration, Management, Model, Numbers, Organization, Procedure, Process, Progression, Points, Resource, Sequence, Sequential, Stages, 4Steps, Strategy Captain your team with elan. 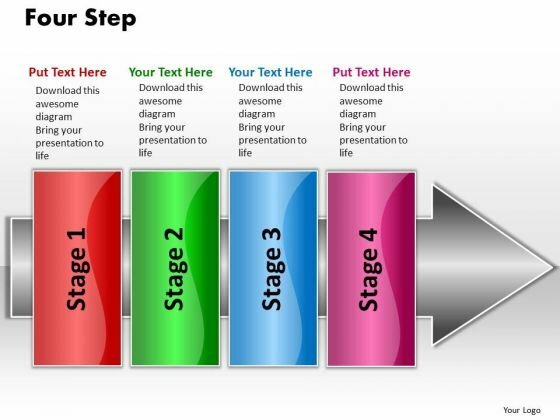 Create an aura about you with our Ppt Linear Flow 4 Steps2 PowerPoint Templates. Spread awareness of digital tools. Whatever the divide our PT&s will bridge it.